best brunch spots in Barcelona. In terms of food, Barcelona definitely has a lot to offer. 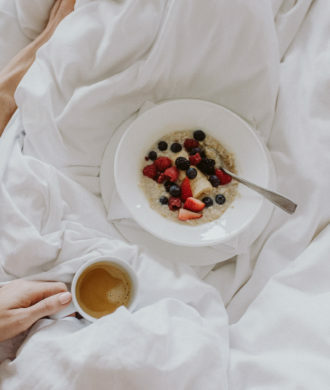 Aside from the obligatory tapas and paella, there are also plenty of stylish supper clubs and some amazing places to brunch. 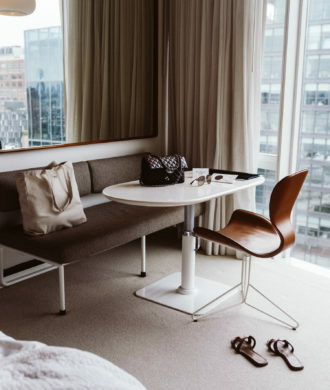 Since we wanted to enjoy the pool at our hotel in the afternoons, we usually ventured out in the morning for some breakfast and explored the city afterwards for a few hours. The perfect agenda, if you ask me. 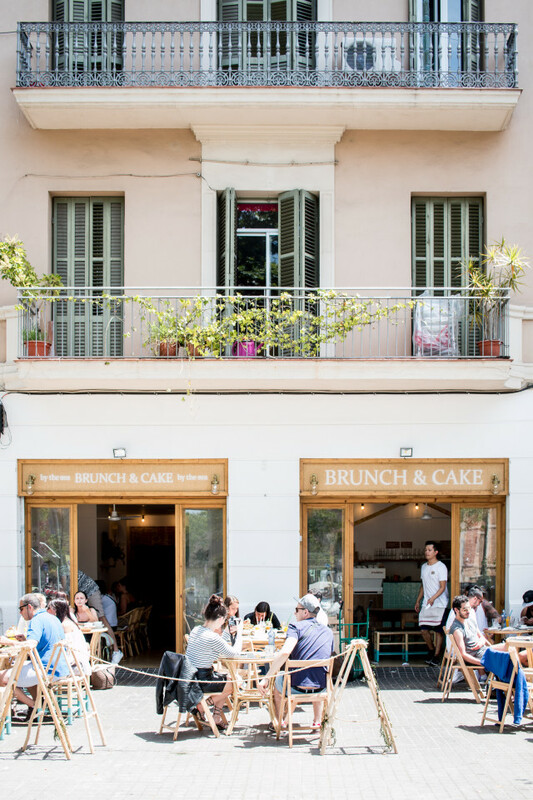 Before our trip, I did some research for the best brunch spots in Barcelona and quickly realized that we would need to stay a lot longer to try our way through all the recommendations I found. 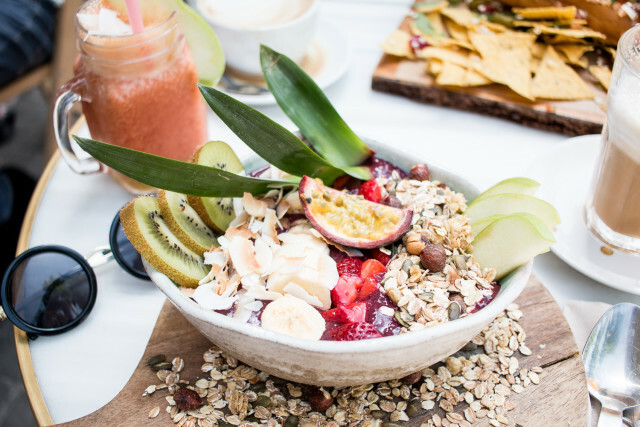 Narrowing it down to just a few options was tough and I definitely still have a lot on my foodie-to-do list for the next trip to Barcelona. However, since I’ve already done the research, I thought that I might as well share the various restaurants with you guys. 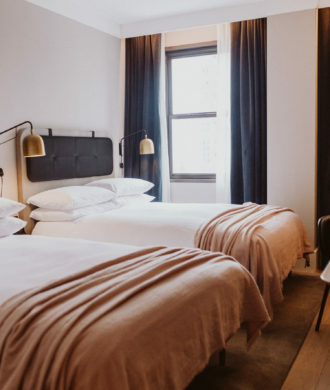 Who knows, maybe some of you will make it to Barcelona this Summer and then this post might come in handy. 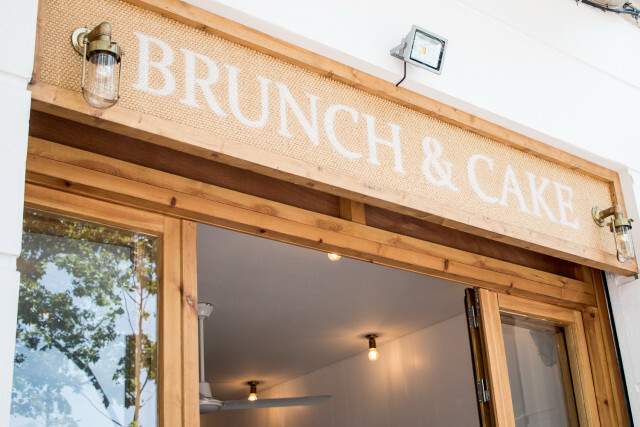 Brunch & Cake (by the Sea): With several locations around town, Cup & Cake is a great spot to satisfy your sweet tooth. 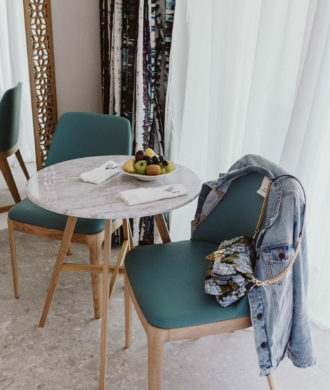 Two of the locations are dedicated to brunch and we tried the one on Barceloneta, which was closest to our hotel by the beach. The wait can be a bit long on the weekends (up to 1.5 hours – they don’t take reservations) but we got lucky and got a table within 10 minutes. 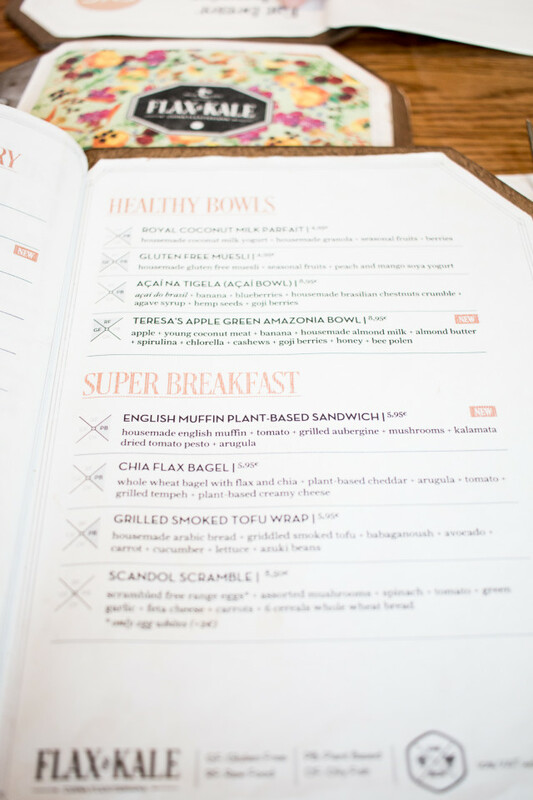 The brunch is so worth it with crazy acai bowls, sandwiches that are next level and eggs benedict on waffles that arrive served in a shovel. Definitely worth it! 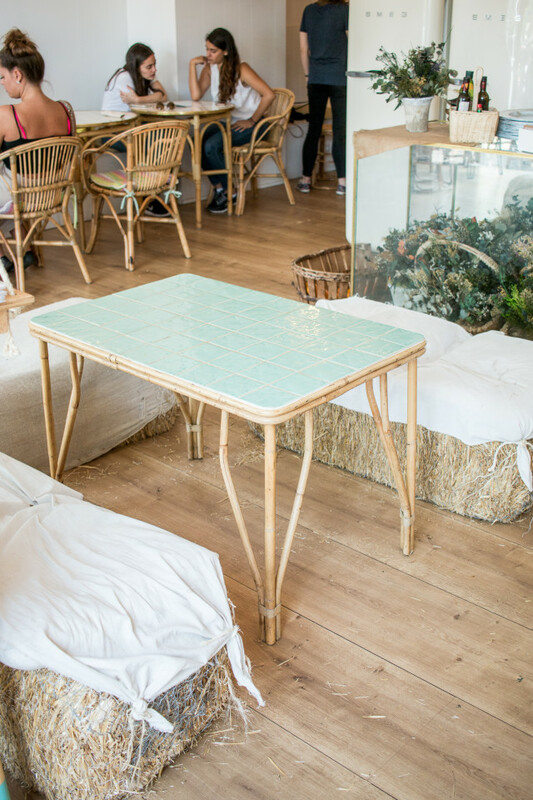 Federal Café: Just like Cup & Cake, there are several Federal Cafés – 2 in Barcelona, 1 in Madrid and new locations coming to Valencia and Girona. Supposedly Federal Café is an absolute must when in Barcelona and I am a bit sad we didn’t have time to go there since we wanted to try the hotel’s breakfast on our last day. However, this will definitely be my first stop when we go back the next time. Maybe also for lunch! 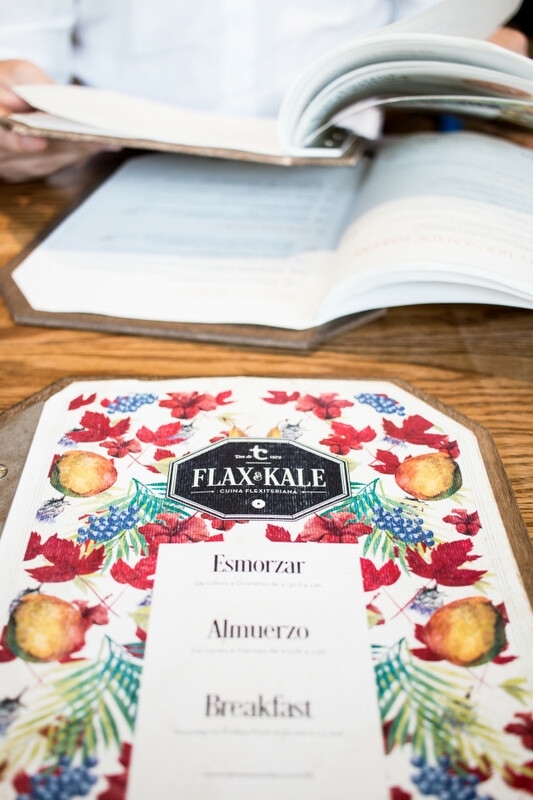 Flax & Kale: Another healthy spot in town. 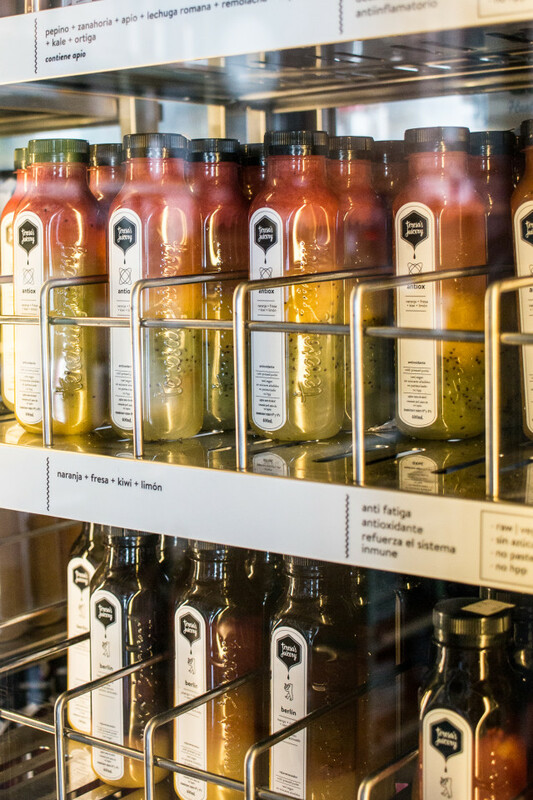 If you are looking for fresh pressed juices and healthy (mostly vegan) meals, this is the place for you. Mike wasn’t too amused when I confessed that it was a meatless place with only 1 egg dish on the menu for breakfast. I have to admit that I was there for their avo bread, which unfortunately was “sold out” by the time we were asked for our order, but luckily there were plenty of other options. 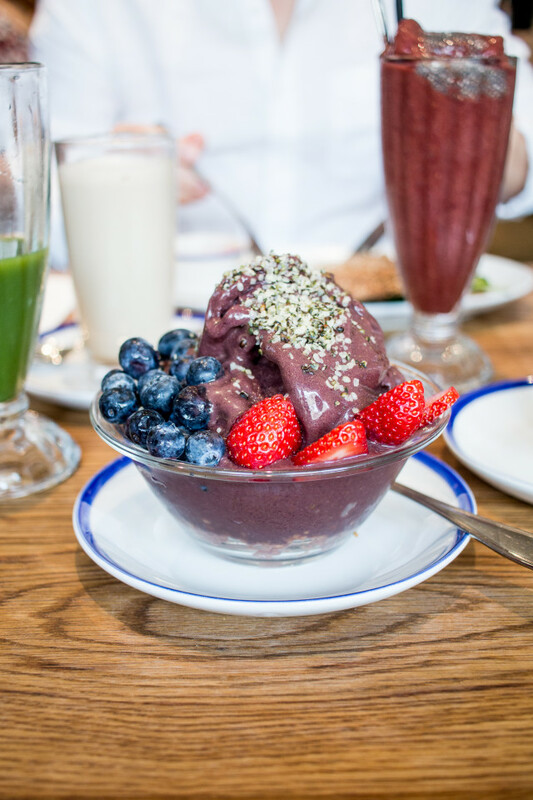 My acai bowl was out of this world (even better than at Brunch & Cake) and the “green love” juice so delicious. I also loved the interior. Unfortunately, service was super slow and it took more than 20 minutes for our coffee to arrive (which ended up being the wrong kind) and the food didn’t come at once, which I personally don’t like at all when it is just 2 people eating 1 meal each. Still, a place to check out when in Barcelona and the location is great to do some sightseeing afterwards. 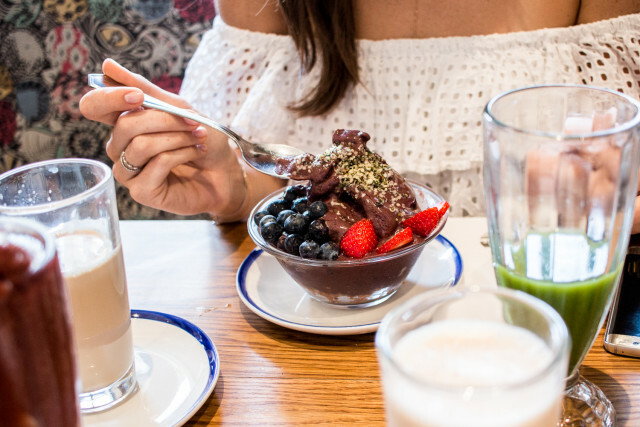 What are your brunch recommendations around Barcelona? 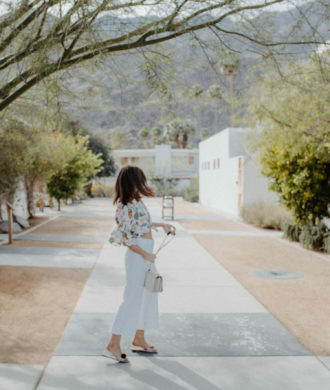 Where should we go the next time we visit? Glad to see you feature something more about Spanish food that tapas and paella! I’m so tired of everyone sharing food stories about old Spanish gastro scene! We’re more than that! Vielen Dank für diesen tollen Beitrag. Ich habe mir alle deine Tipps sofort abgespeichert und werde mit Sicherheit einiges davon selbst testen, wenn ich das nächste Mal in Barcelona bin! Wow, cool, toller Post, das sieht wirklich unglaublich lecker aus! Barcelona ist so eine schöne Stadt! Toller Beitrag !! Wird aufjedenfall beim nächsten Barcelona Besuch getestet. 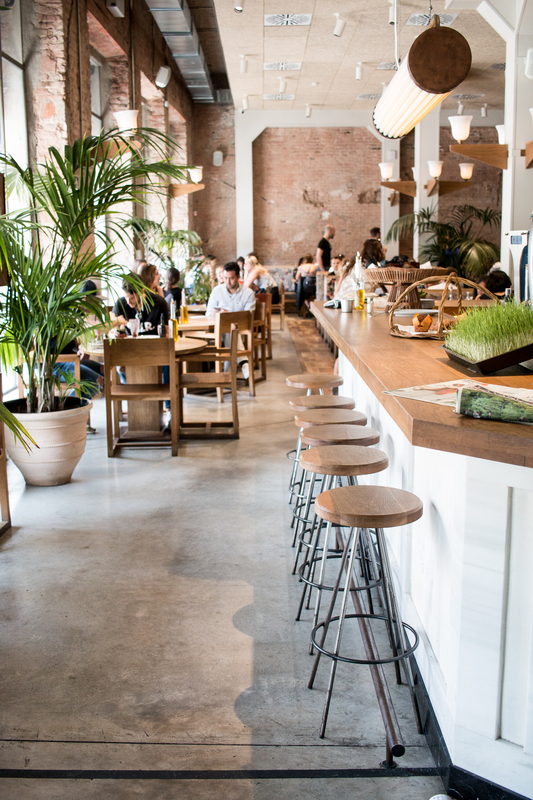 Duh Barcelona hat so unheimlich tolle Food-places. Irgendwie kann die Stadt das einfach fantastisch. Flax&Kale fand ich auch SUPER. Cool, da hat sich ja einiges getan – ich kenne Barcelona sehr gut aber keines der Cafes. Schauen super interessant aus. Danke für die Inspiration! Das sind super Tipps! Ich war schon zwei Mal in Barcelona & habe es geliebt dort jeden Tag wo anders essen zu gehen & neue Dinge kennen zu lernen. Dieses Jahr gehts nach Venedig & ich bin schon sehr gespannt was uns dort erwartet. Brunch & Cake is amazing! It’s my go to for brunch in Barcelona. 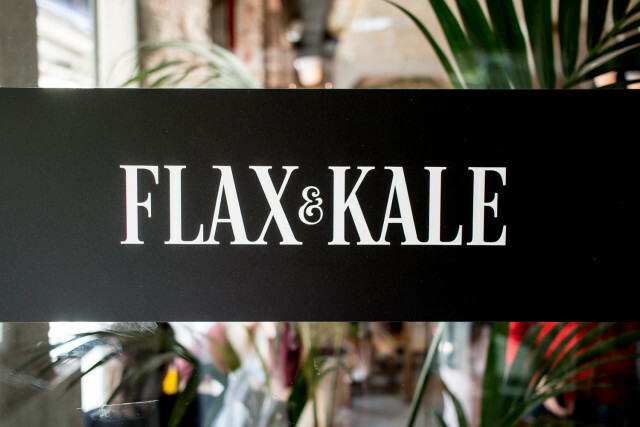 I definitely want to check out Flax & Kale though, sounds lovely. Bin momentan in Barcelona und heute abend zufällig am Brunch & Cake an der Universität vorbei gekommen. Hab dann mal direkt auf einen Iced Vanilla Latte mit Kokosmilch gehalten. War ziemlich lecker. Abendessen gab es dann bei Flax & Kale. Super location. Und weil ich alleine war hab ich auch direkt nen Platz bekommen.